I didn't see it posted, yet. Interested to see how extensive the work will be. 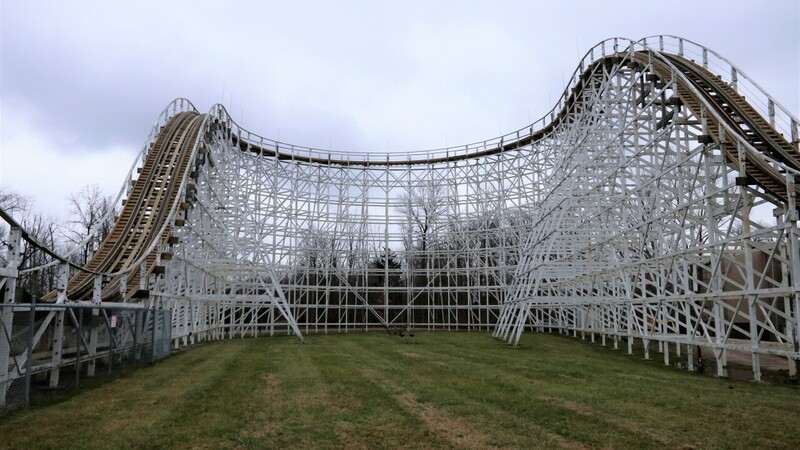 Kings Island tells WCPO.com that over the past month, workers from Great Coasters International have been retracking the back turns, including the approach and exit hills, with new track and supports. Park spokesman Chad Showalter provided the above photo, showing the new track on the back turn of the North Racer. He says it is considered part of regularly scheduled maintenance, but is more extensive than normal wintertime painting and reconditioning. 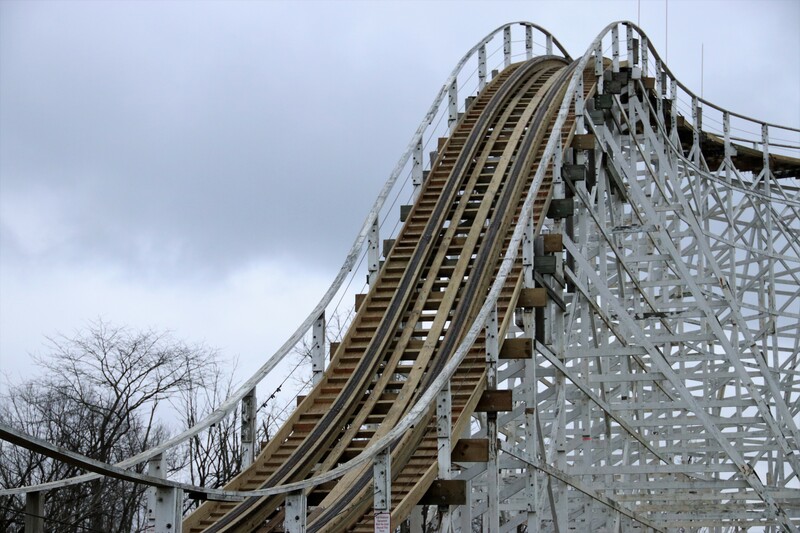 GCI is a Pennsylvania company that specializes in building and restoring classic wooden coasters, and most recently built the park's successful Mystic Timbers coaster in 2016-17. Now if only we could get new PTC's for it, new paint, and run the chaser lights all the way down. Still a much needed TLC job for sure. I will say it was running better this season. The blue side even had decent pops of air for once on the return run. I wonder why they didn't include this in their announcements this summer? I would think this would have been a perfect pairing to announce with the Antique Cars. Kind of like a Coney Mall Makeover with the BBQ, Cars, and Racer Re-Track. Maybe they thought this would overshadow the Antique Cars announcement? This makes me very happy. Love that ride, it deserves re-tracking and hopefully a nice new paint job at some point. 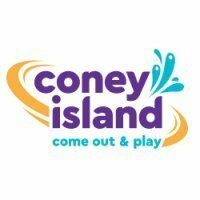 I think the part is really valuing the importance and selling power of nostalgia by really spending some time and effort into revamping Coney Mall the past 2 years. Well, keep in mind that GCI was also rebuilding large sections of Thunder Road each season before it finally met the wrecking ball to make room for Carolina Harbour water park. Not saying that Racer will meet the same fate, but just because a ride is refurbished doesn`t necessarily mean it will be here for years to come. See King Cobra that was repainted for the Action Zone conversion in 1999, and was dismantled at the beginning of the 2002 season. I do not think the same thing will happen to Racer. It is too iconic of a ride. Also I should point out that it is my understanding that this is not GCI’s first BBQ doing retrack work for Kings Island - not including Mystic Timbers, of course. I don't think Racer is going anywhere anytime soon. As far as I am aware, it doesn't have structural problems. But what it does have is historical significance. While the article I read plays it up like no one wants to ride The Racer any more because it's bumpy, it does still seem to have a healthy amount of riders. At least from what I've seen. Unless it's to the point where the ride becomes unsafe or unmanageable, I think Kings Island would be making one of its worst decisions in removing this ride. I am happy that Racer is getting re-tracked. I never found it too bumpy myself, but I'm sure that GCI will do some quality work. I am more than happy with Mystic Timbers. I think it met all expectations. Has anything been said as to whether it'll be receiving GCI trains or if it will remain PTC trains? "Original" PTC trains is a relative term.... those trains have been re-built so many times over the years that I'd expect there's not one original thing left on any of them. Heck even the various front panels are owned by different KI collectors. Racer is a good coaster. Racer 75 and Thunder Road is/was superior however. The two tracks stay/stayed together until the turn around on those coasters producing a better racing effect. They both have/had a wonderful floater hill instead of that larger hill where KI Racer splits. They both have/had surprise tunnel finales which KI Racer lacks. Plus they took out the final hill of Racer for X Base entrance. Racet 75 does not have trims at the turnaround like KI. Will Ki lose the trims with this retrack? Would The Racer lose it’s ACE Coaster Landmark status if it got Millennium Flyer trains? ACE Coaster Landmark is not to be confused with an ACE Coaster Classic. A Coaster Landmark is a coaster that has had a significant contribution to the history of coasters. Upgrades and/or extensive maintenance do not jeopardize that. The Beast is also considered an ACE Coaster Landmark. Woodstock Express at Kings Island used to be an ACE Coaster Classic. Cincinnati area coaster enthusiasts can still experience an ACE Coaster Classic at Stricker`s Grove on the Teddy Bear, which was based on the coaster of the same name from Coney Island. An ACE Coaster Classic is about a traditional experience. One that has been shared by generations of thrill seekers since the golden age of the 1920s when the wild, uninhibited, free wheeling thrills of the wooden coaster established it as the premier thrill ride and an icon of popular culture. The coaster must use traditional lap bars that allow riders to experience so-called airtime, or negative G's (that sensation of floating above the seat!). Individual, ratcheting lap bars do not meet this requirement. ACE Coaster Classics allow riders to slide from side-to-side. A coaster with any restraint or device that restricts this freedom is not eligible for ACE Coaster Classic status. ACE Coaster Classics allow riders to view the upcoming drops and thrills. Coasters with headrests on every seat, or the majority of seats, restrict this view and are not eligible for ACE Coaster Classic status. On ACE Coaster Classics, riders are free to choose where they sit. Some parks' operating procedures assign seating; these coasters are not eligible for ACE Coaster Classic status. Middle seat of any car is smoothest on wooden coasters with 3 row cars. We just flew over, and I didnt even think to look at The Racer.... I was too preoccupied with Firehawk. Let me see if I accidentally got pics of the track. Unless that coaster is named Son of Beast. On 2 bench PTC's or if you have to pick a wheel seat, the front of the cars are smoother. Don made a blog post about the Racer track work. It seems pretty cut and dry that the majority of the track work is just on the blue side turn around. Don't set your expectations to seeing much more that that being retracked. To be fair, the 6-bench rule held true (from what I have heard) even for Son of Beast, it was just the coaster was apparently so rough on average it just went from "OH #&! MY BACK" on a wheel seat to "Ow, that hurt my back". It gave a smoother ride, but it was still rough compared to other coasters. Then again I never rode Son of Beast, in the 2000-2006 form (when it has 3 row cars) or otherwise, so I cannot confirm. BTW, I have learned that the middle row of ANY coaster with 3-row cars is usually smoother. Woodies like Blue Streak, Racer, and Beast are all smoother of course but even Arrow Mine Train Type Cars (Used on Adventure Express, Cedar Creek Mine Ride, Gemini, and even Magnum XL-200 oddly) all gave me smoother rides from the middle row. Awe. I was hoping it would be a bit more than that- is OK though, Blue Racer's turnaround IMO was one of the rougher spots on both sides. There was a violent "Pothole" there last season, right before you went up into the actual turnaround. I hope they at least fix that.